When it comes to online visual content, either on the Web or via mobile, some elements are no longer mysterious. Take photography, for example — there are literally hundreds of apps, many of them free, to help you illustrate a personal site, product or service. In recent years, new apps have even managed to demystify video, and it too is on its way to ubiquity. Animation, which is also very popular, still has a ways to go on the creation side, with its own aesthetic and workflow. Sure, there are plenty of animation software creation tools out there such as Toon Boom Studio, Reallusion’s CrazyTalk and Boinx Software’s iStopMotion. Even as consumer level tools, these have a learning curve and must be installed on your computer. Boost participant, Animaker takes a different direction. A simple, context sensitive interface offers step-by-step authoring online with lots of variety. Animaker seeks to remove creation barriers with an app that lets you construct an animation directly on its Website. All assets, including your animation, are stored in and always accessible from the cloud. There’s no need to download or install any software. Just register, sign on to the site and start working with the software’s built-in asset library. One key way to get started quickly is to pick a style from Animaker’s assortment: Handcrafted, 2D Animation, 2.5D Animation, Infographics-Videographics and Typography. The select a template that closely resembles your project. Animaker recommends its app for video ads, product demos, training, social media, video resumes and corporate videos. Founder and CEO Srinivasa Raghavan took a few minutes from his busy day to chat with us about his company. 1. Tell us what you do in two sentences. 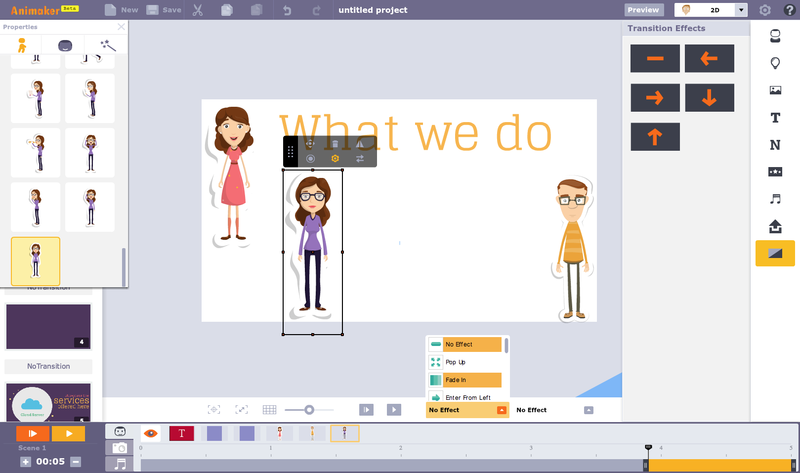 Animaker is a simple DIY animated video making app targeted at online video makers. We aim to enable our users to create their own pro quality stories with top-class visuals and features like never before. 2. What’s your origin story? How did the company get started? Video is about creating a lot of buzz, and everyone out there wants one. We know this because of our earlier startup, Bode Animation. It is a successful studio that has made 500-plus video animations so far. The real number of prospects who had approached us is 5,000. We had to address this huge gap of 4,500 potential clients to see what made them opt out. The single major problem waiting for our attention is Affordability.We started listening closely. And this is what we heard: “videos are expensive” and “Maybe later” and “When we make enough money” and “ROI is not good enough.” This is a huge market and we had to find a way to make videos affordable to the many. So we designed Animaker, an affordable cloud-based app that makes video animations look professional. 3. Who are your biggest rivals and why are you better than they are? 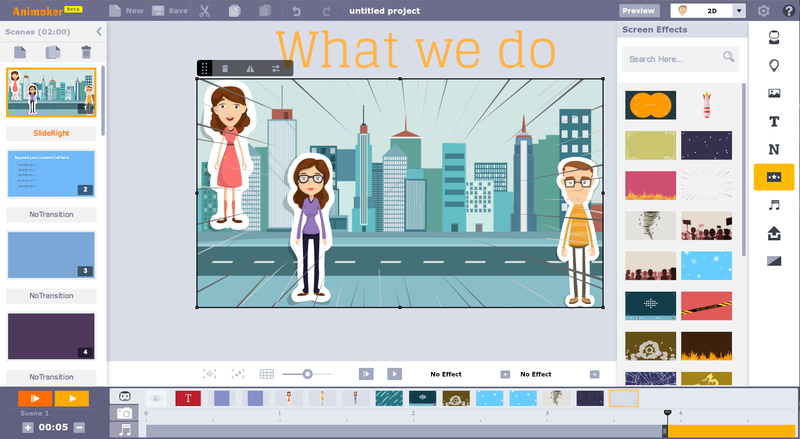 Though Animaker is a solution to our own problems, we found our users comparing us with DIY video tools like GoAnimate and Powtoon. There is a huge gap between the quality of videos created using the present DIY tools and videos created by studios. We have made Animaker walk past all the DIY tools to approach the quality offered by the studios. With Animaker, we would like to help everyone own an animation studio and create powerful videos. 4. Get rich or change the world — which is more important and why? We strongly believe that changing the world is the most important role any human being should think of playing and working toward. Getting rich just improves your chances. It’s been noted that, “With great power comes great responsibility,” and an entrepreneur with money has got a greater responsibility to help change the world and make people’s lives better. 5. Tell us one weird fact about a member of your team. Jerry, our star storyteller, is very specific about what she writes. While proofreading, she has this habit of reading everything out loud to approve it herself. Sometimes, it goes to the extent of reenacting an entire article. She sits close to the cafeteria and we are all more than happy to take a coffee break now and then to get a glimpse of her during the performance. 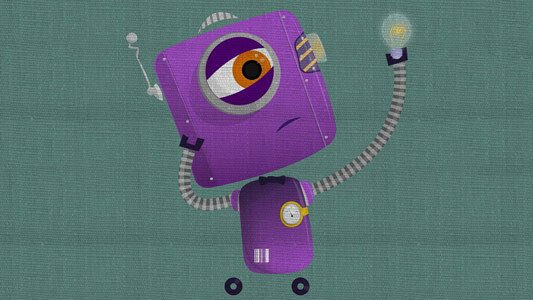 Animaker, while still in beta, has adopted a freemium pricing strategy as the company continues to roll out improvements to the product on a weekly basis. Prices range from free to $39 per month for various levels of service and customer categories.